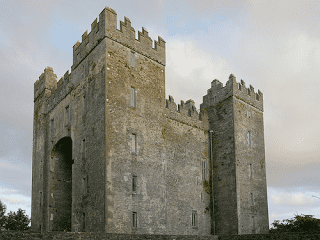 Visit Bunratty and get 2 for the price of 1! Are you planning a weekend with the family, having a weekend getaway or just an enthusiast for culture? If so, then Bunratty Castle and Folk Park should be high up on your current priorities. Even if you’re staying in the nearby Hotels Galway or Hotels Limerick, this attraction makes the perfect day. The heritage of the castle is steeped in a rich history dating all the way back to Viking settlers in 970 who used the castle as a trading camp but has seen the influence of many as four castles have been built on the site the current castle stands. 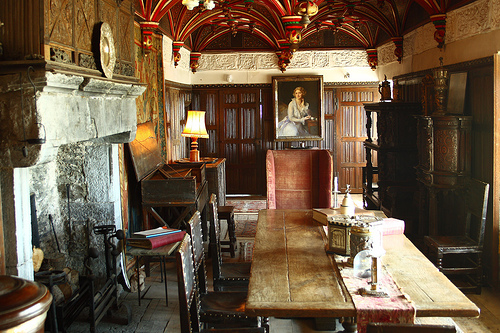 The castle is beautifully decorated, especially in the Earl’s Bedroom where you will find furniture of exquisite quality and incredible art pieces such as a French portrait of Mary Queen of Scots. The Great Hall houses wonderful tapestries from all over Europe dating back to the 16th century that are truly delightful to see the intricate work that went in to them and how well preserved they are. The massive room, at 48 feet tall, is full of magnificent antiques including antlers of the Giant Irish Elk which had been recovered in the area, thought to have been around 12,000 years before man. The entire castle feeds your imagination as you can depict everything that might have gone on within the walls, great for introducing the kids to the country’s history. 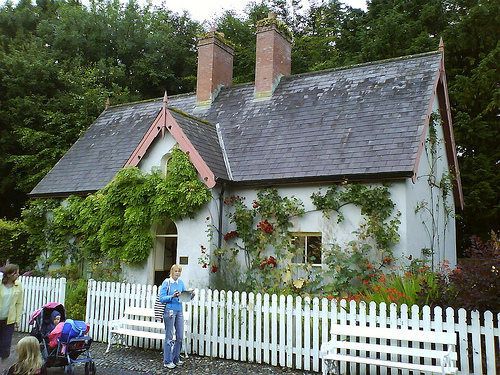 Alongside the castle is the Bunratty Folk Park, a faithful recreation of 19th century Ireland. Here, you can take a step back in to history in an interactive village where you are encouraged to talk and get involved with the actors that roam the site in costume to get a deeper understanding of what life was like back then. A School, Doctor’s House, Pawnbrokers, Drapery, Printworks, Grocery, Hardware Shop, Pottery, Post Office and even a fully licensed Pub where you can pop in for a drink are among the buildings you can explore along Village Street. Elsewhere in the park, there are original buildings such as Ardcroney Church (an original Church of Ireland building moved to the park in 1998), Hazelbrook House (the home of HB ice cream’s Hughes brothers) and Vertical Mill (a corn mill based on mills used 1000 years ago). See if you and the family would be able to tough it out in a time without modern technology by going back to a simpler time. The entire experience is an educational yet exciting day out which can bring together the whole family. The admissions to the castle are from 9.00 till 16.00 all year round. From June to August, the Folk Park admissions are from 9.00 to 16.15 Monday to Friday and 9.00 to 17.15 Saturday & Sunday, the rest of the year admissions are 9.00-16.15. Admissions prices are €15.00 for adults, €9.00 for children or a family ticket is available for €33.60 which covers 2 adults and 2 children. Check out their website for more information, and don’t forget to get register a thttp://www.sundayclub.ie to get 2 for the price of 1!